But is it ok to use for painting a Gundam??? Single action. It might be okay for painting areas, but would still be a pain to use for detailing, and shading. It might be slightly better than spray can, since you can control the pressure with an AB regardless. I don't like these external mix airbrushes. They have a tendency to splatter if not properly adjusted and tuned. Badger makes some inexpensive internal mix airbrushes. Best airbrush I ever had was my old Olympos HP trigger action (which my newer Tamiya HG looks very similar to) - excellent for fine detail work. If I had a choice, I'd try to obtain an Iwata or Paasche. 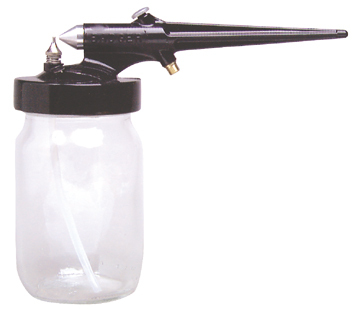 There are some Grex airbrushes over at JMN, I think. Mga gundamers may tatanong ako. Meron kasing nakuhang gundam na binubuo yung girlfriend ko galing sa Hongkong pero since hindi naman sya collector at hindi din ako balak nalang sana namin ibenta. Mga magkano kaya yung average price? Nakita ko, na mukhang kumpleto naman saka sarado pa lahat yung box lang ang bukas. Pero wala pa ko details ng model and everything sa Sabado ipopost ko pati pic. Yung size lang ng box ang alam ko.haha. mga kasing laki ng typewriting na short tapos mga 4 inches kakapal. Para naman hindi namin ma under/over price. thanks in advance! pinost ko lang ngayon to para maalala ko. Post the picture first. Can't estimate a price, since what you described is one of the standard box sizes for both HG/NGs and MGs. It might be a bootleg for all we know. There's also a Yen price on the box, which is usually half in Pesos. Mga kitmaster, where do you usually buy your kits? Sa Toy Kingdom lang ba? Or meron kayong ibang 'dealer' where you can get kits much cheaper below the retail price? Parang gusto kong bumalik e hehe. Thanks in advance! sige post ko agad bukas pag nakuha ko. di ko napansin yung yen price e.
Ayun! Kay Sir Malvin haha. Thanks MatX! The GPO1Fb, that's around 1350 at GreatToys. Hahayz... 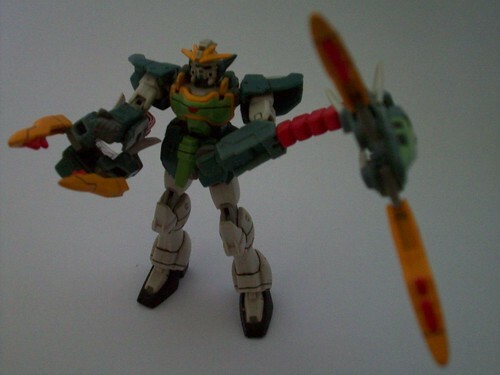 Still hoping for an MG version of Heavy Arms... Deathscythe already got its MG version and... No comment. Shenlong is on its way. 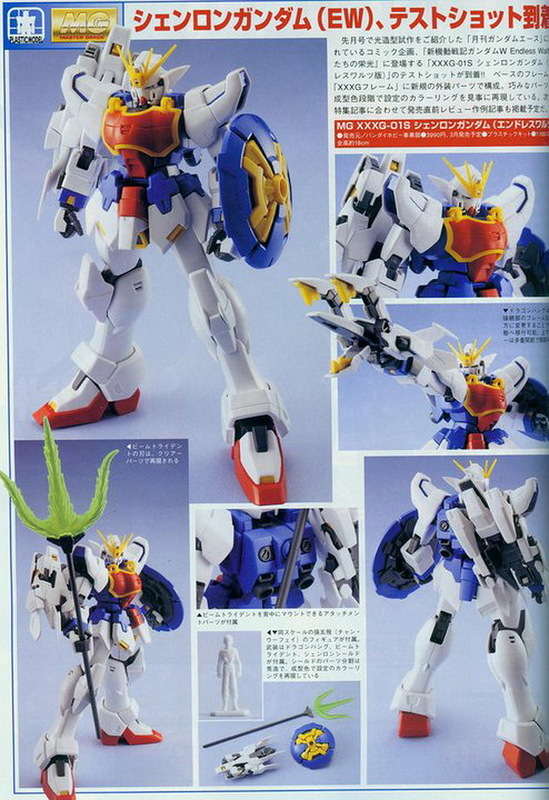 I believe Sandrock and Heavy arms aren't too far behind. Daym! That's nice to hear. Version Ka rin I guess? Well, basically all of them are vKa, since Katoki designed them. Nice version. I find the design of the right claw cool. But I'm seeing too much white. Yes. The TV/HG version has more blue, and this one's claws does not extend. Then again, it might just be because it's still a prototype. At any rate, that's what's painting is for. Hmmm yeah. It ain't the final version anyway. 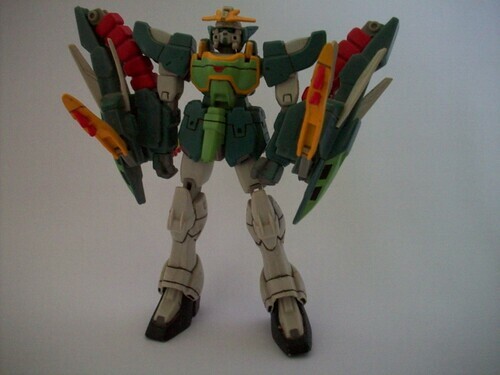 I just googled it awhile ago and saw from another forum about the MG selling for 3,990 yen only. So is it safe to say that Philippine toy stores would sell it for 2,400-2,600 php? When do you plan to get the Unicorn? napunta sa guitar gears ehh hahaha!